A Giveaway in honor of Worldwide Quilting Day! THIS GIVEAWAY IS NOW OVER: The winner is Lisa Lee who said she will be washing fabric to make quilts for her grandchildren. Congratulations Lisa! It has been brought to my attention that my “follow” button is not visible on the blog. Please “follow” my blog via Bloglovin.com here. You will have to sign up for Bloglovin, all it requires is an email account. I am very sorry about the inconvenience, I hope to get the follow button fixed soon! 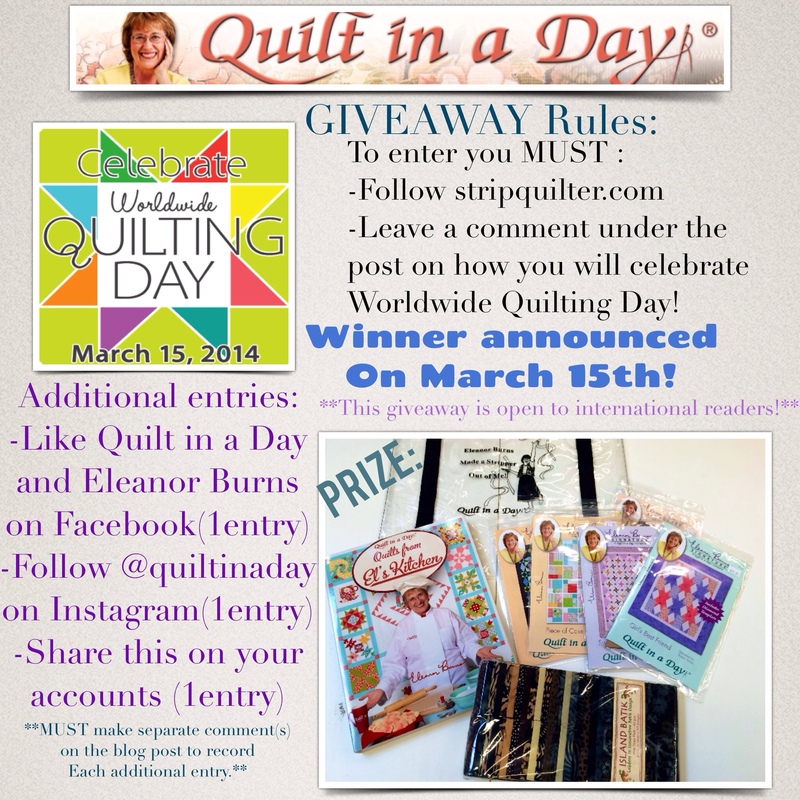 In honor of National Quilting Day on March 15th, I will host a giveaway! With a special day so significant to us quilters, we are excited to work with The Fabric Shop Network in holding yet another contest beginning ON Worldwide Quilting Day! Information on that contest will be posted as the day approaches. Would you like to know what you could win? I am giving away a cool bundle: an autographed copy of my newest book, “Quilts from El’s kitchen“,a handful of patterns (some also autographed), a Wonky Ruler, a large project bag and a pack of beautiful hand-dyed batik strips provided by Island Batiks! To enter, you must follow my blog and leave a comment below on how you will celebrate Worldwide Quilting Day! If you already follow my blog, all you need to do now is leave a comment below and you are entered for this giveaway! For additional entries, you can do a few things giving you up to 3 additional entries. 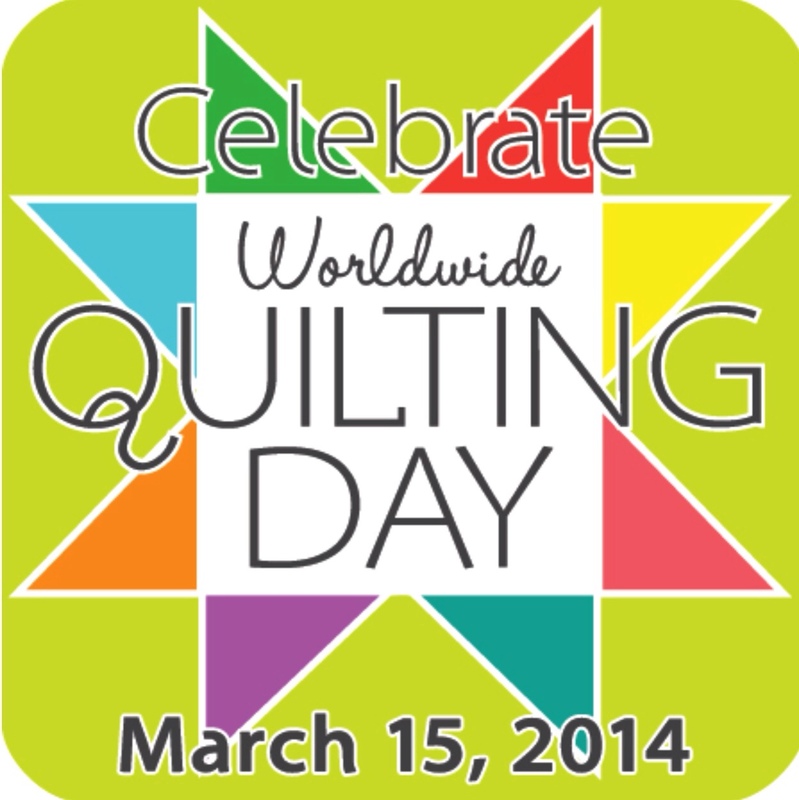 It is WORLDWIDE Quilting Day ,after all! The winner will be announced on this post on the 15th of March! Are you ready to celebrate this special day with me?